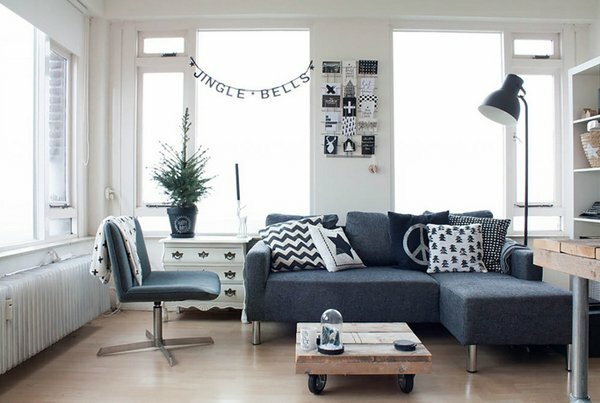 Don’t you just agree that choosing a simple design for a sectional, like this grey one in the picture. 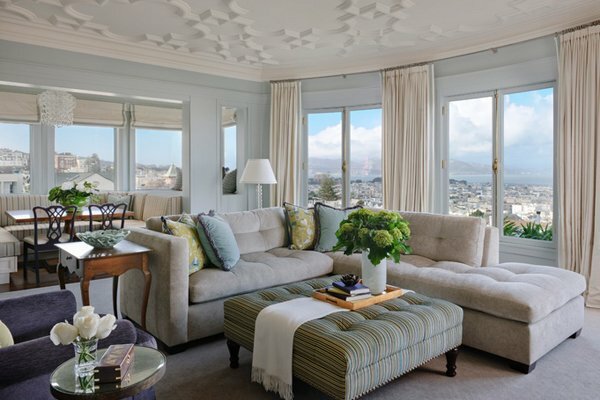 Goes well with the color palette the designer chose for this home. 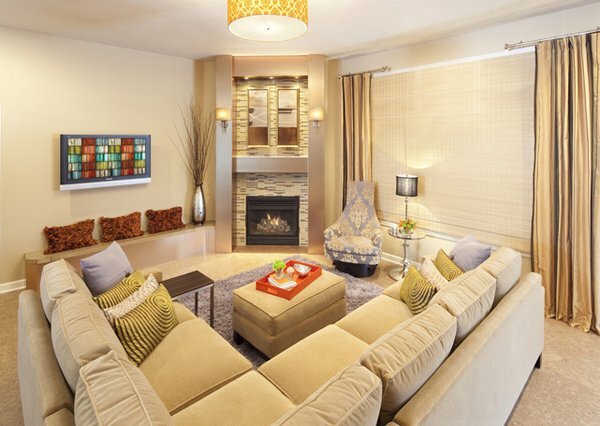 Warm things up by bringing in a generously sized, delightfully comfortable sectional to plunk down on. And unlike in the past, sectionals today are available in slimmed-down, modern silhouettes that look right at home in an urban loft. 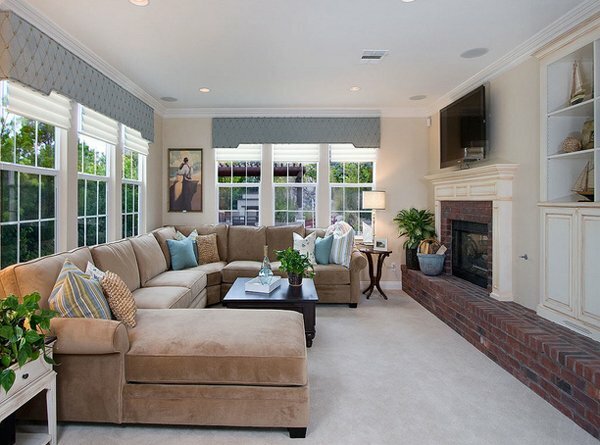 This mocha brown sectional looks really comfortable and cozy! Because of the velvet material, this sectional sure will be easy to sleep on! 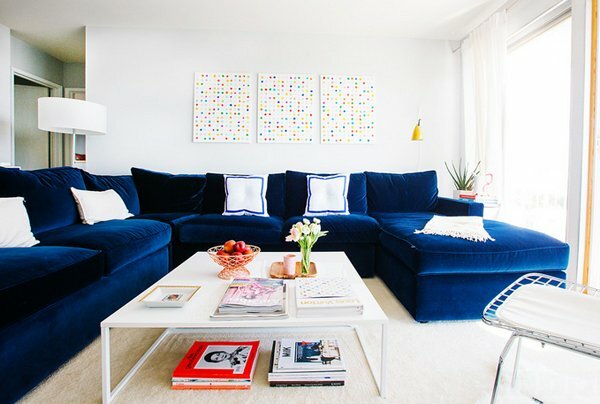 A plush navy sofa. 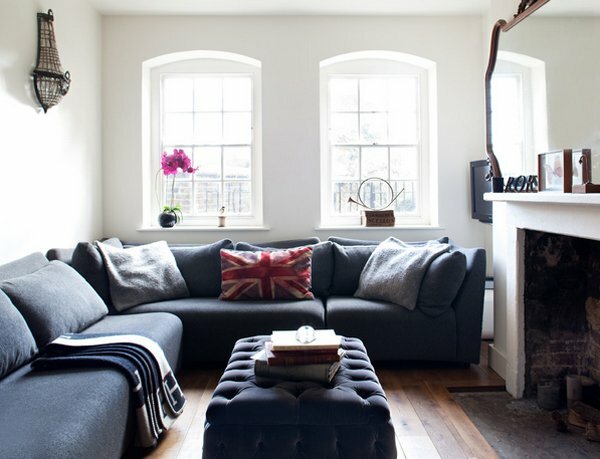 On trend yet classic, a navy velvet sofa works equally well in eclectic, contemporary and traditional spaces. A big sectional like the one shown here can handle a large-scale coffee table – choosing white keeps it from looking too heavy. 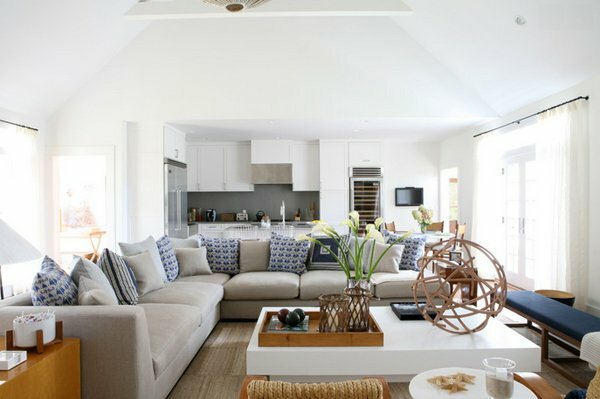 If you have an open floor plan, tie the spaces together. It could be with an accent color, a material like rattan or reclaimed wood, or a collection that is spread out between the different areas. 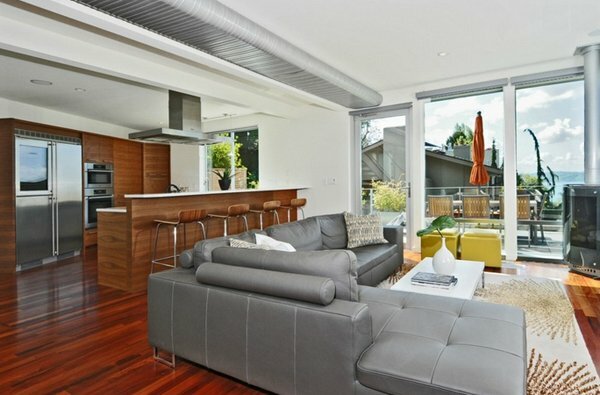 Since the space is small, they went with a compact sectional to provide ample seating. “We managed to fit in everything we needed without the room being cramped or cluttered,” says van der Kooij. The sectional is a custom designed and built piece that helps meet the needs of the is family…you can sit at the game table and still engage with others in the room or the teenage boys can lounge on the bench sections of the sectional while a movie with the rest of the family. Warm, inviting, serene. The windows are the focal point. A simple palette of concrete, wood, metal, and stone provide an enduring atmosphere that respects the vintage of the home. 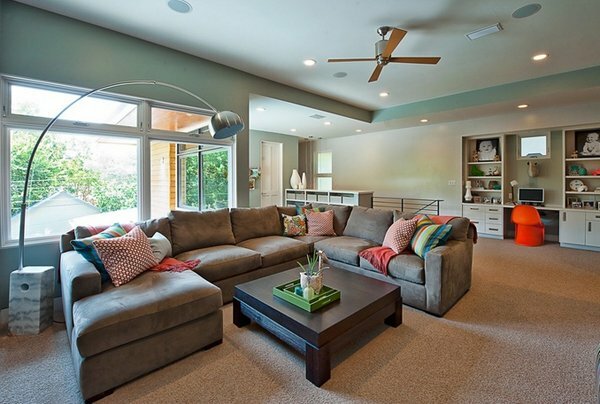 If you are changing from multiple types of seating to a sectional, brace yourself. The different footprint will take some getting used to. That’s okay; just don’t panic. A small-scale chair has one wonderful advantage over the other chairs in a room: It’s easy to move. It will readily go where you want it to go, when you want it to go, and it will stay there until told otherwise. An ottoman with exposed legs not only can keep the center of your sofa feeling light, but it can also keep the space formal. 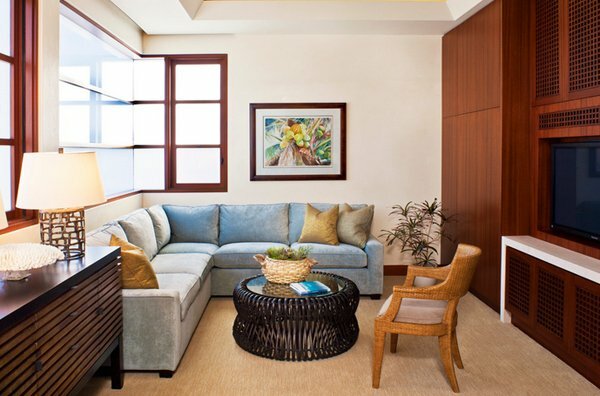 The unique shape of this pair of couches lends the comfort and space of a sectional while still leaving an open walkway. Stunning coffee table right? It matches the cute sectional and arm chairs! 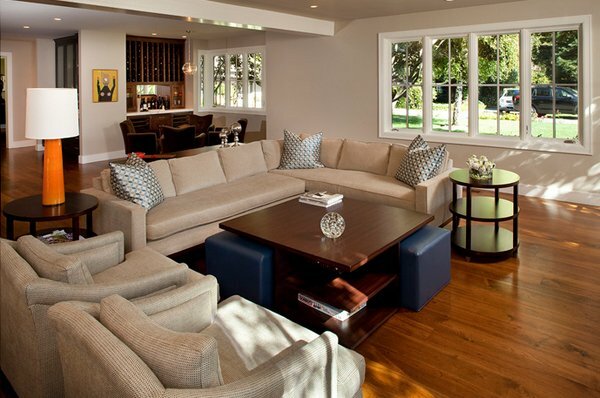 The sectional sofa works to define the footprint of the living room. The designer had the client paint the doors dark to help give the room some depth. The size and the shape of this sectional sure is huge but comfortable and fancy! 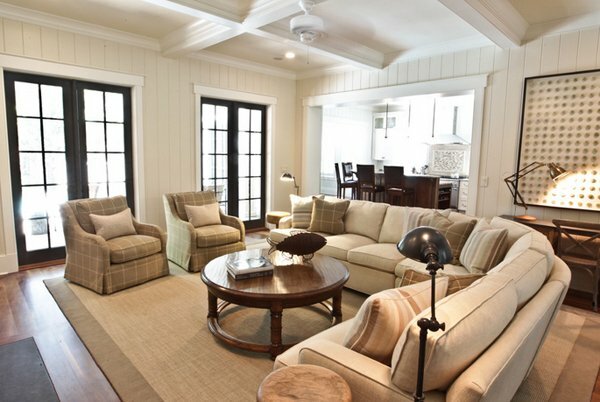 The rustic feel to this family room is really stunning. 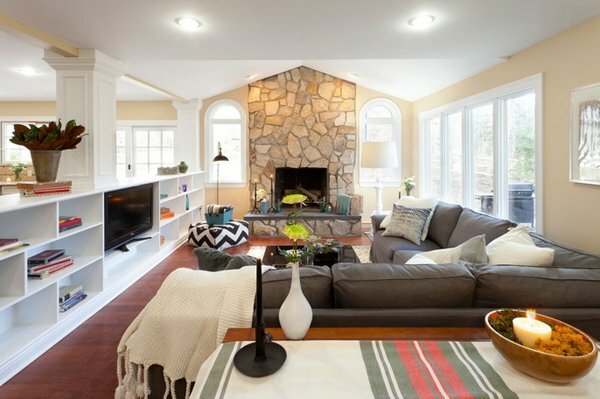 I love the traditional feeling of this living room! 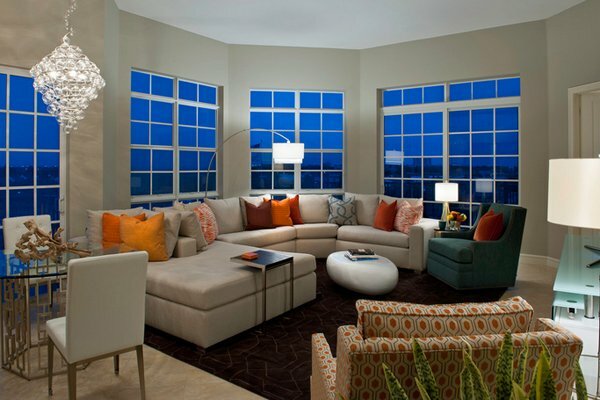 Looking at the sectional in this living room, I can surely say that this space it worth every penny.